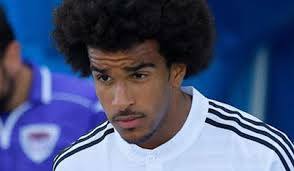 Real Madrid Castilla defender, Derik Osede, has told BBC Sport he wants to represent Nigeria at international level. Derik, 22, has played for Spain’s youth sides, most recently recording two caps for their under-21 team. However, the centre-back, who is contracted to Real’s B side, wishes to be called up by Nigeria’s senior side, as his father is Nigerian. “I have lived in Spain all my life and I am not sure the people in Nigeria are aware that I have Nigerian blood,” Derik, who was born in Madrid, said. “I celebrated when the country won the Africa Cup of Nations in 2013 and I was cheering the team at the last World Cup in Brazil. “Even if it’s difficult for some people to understand, I have made my decision [to represent Nigeria] and am going to stick to it.